Sure, CBD products are blowing up right now, but they actually can provide major relief for people experiencing everything from aches and pains to anxiety and insomnia. 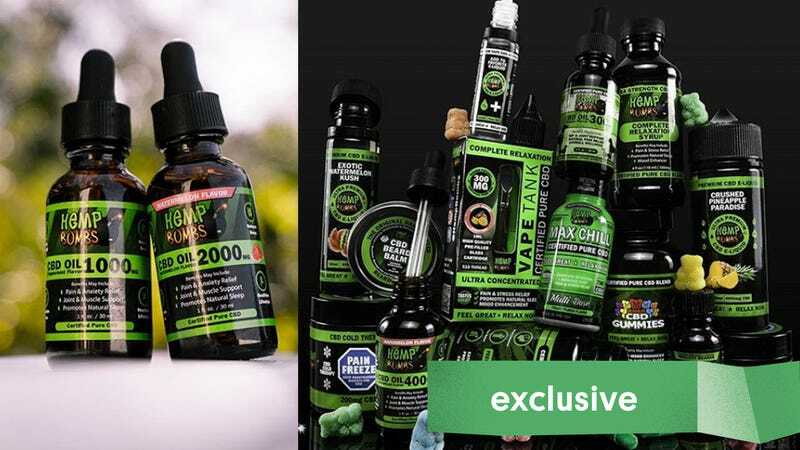 So if you’ve been thinking about jumping on the CBD bandwagon, now’s your chance: Hemp Bombs, a producer of premium CBD products, is taking 20% off their entire site with promo code SWEET. No matter how you want to consume your CBD, Hemp Bombs has you covered with this, ahem, sweet deal. Shop their wide selection of gummies, oil, capsules, syrup, vapes, lollipops, topical rubs, pet products, and more. It’s only a matter of time before you’ll be feeling chill AF about your purchase, man.